A settlement was recently announced in a long-running qui tam case brought by whistleblower Aaron Westrick, Ph.D., who alleged Toyobo Co. Ltd. of Japan and its American subsidiary, Toyobo USA Inc., (collectively, Toyobo), sold Zylon fiber that was defective. This fiber was used for bulletproof vests purchased by the United States government for federal, state, and local law enforcement agencies. Toyobo Co., Ltd. recently agreed to settle the lawsuit for $66 million dollars, and under the terms of the False Claims Act, Dr. Westrick will receive $5.77 million as an award. According to a press release issued by the United States Department of Justice, it is alleged that Toyobo was the sole manufacturer of Zylon fiber, and they knew the fiber would degrade quickly in humidity and heat, rendering them unfit for use. The U.S. alleged that Toyobo went so far as to publish misleading information about the degradation rates of the Zylon fiber and continued actively marketing its use in bulletproof vests. Toyobo even started a PR campaign to encourage body armor manufacturers to continue selling the vests after Second Chance Body Armor opted to recall some of their vests in 2003. Two years later, the NIJ, or National Institute of Justice, released results of their own study of Zylon fiber’s ability to withstand bullets, and they determined that over half of the vests tested couldn’t stop the bullets they were certified to stop in the first place. As a result, the NIJ removed its certification rating from all bulletproof vests containing Zylon. Dr. Westrick was the Director of Research and Marketing for Second Chance Body Armor (SCBA). Prior to his employment, he was a Michigan Deputy Sheriff whose life had been saved by a Kevlar vest after being shot in the chest. Because of his personal connection and deep understanding of the importance of body armor, he suggested SCBA test the Zylon vests. They determined the vests were deteriorating at a staggering rate. Instead of doing the right thing, Toyobo and SBCA drafted a non-disclosure agreement that kept the results secret, including from law enforcement customers. Dr. Westrick appealed to the president of SCBA to do the right thing, but his pleas went ignored. Instead, Toyobo and SCBA entered into a rebates scheme agreement. One officer was killed as a result of a defective vest, and Westrick “leaked” documents surrounding the defects and subsequent cover up, as well as testifying in the widow’s case. The following year, he filed the whistleblower action. Throughout the 13 years of litigation, several other defendants reached settlements, and there is still a pending action against the former SCBA President. Whistleblowers play an integral role in uncovering fraud against government agencies. These types of claims are extremely complex and you need to hire a Florida False Claims Act attorney who is well-versed in these matters and has a documented history of representing whistleblowers in False Claims Act cases. 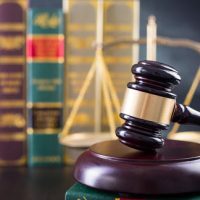 The attorneys at McCabe Rabin have experience in qui tam litigation, including claims that fall under the False Claims Act. Contact us at 561.659.7878 to schedule a consultation.